Get up and go! Here is everything you need to step out and start moving: Pick a level, set a goal, achieve it! Head to head with other programs, the Care Kit step-by-step instructions beat the competition by miles! 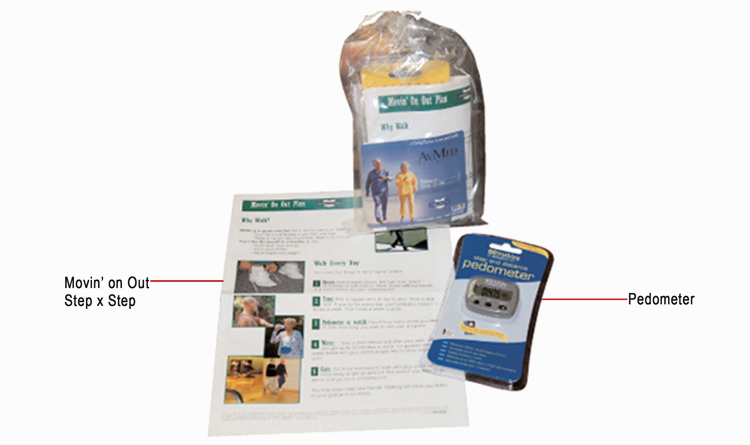 CSI clinicians vetted the included digital pedometer as a “Best Value” item. Corporations use Movin’ On Out for group challenges and Health Plans use it to promote wellness.